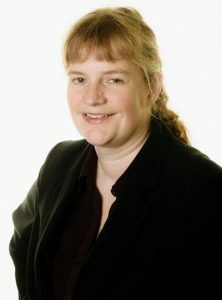 Partner, and occupational illness and injury expert, Belinda Lancaster, has won £123,000 for the widow of a man who died as a result of exposure to asbestos. Mr A worked for the Staveley Iron and Chemical Company between 1947 and 1950, after leaving school. The company comprised three sites, and Mr A worked on the chemical works site. His job entailed going around the site collecting data. 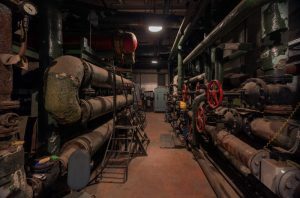 There were several boilers that were lagged with asbestos insulation on the site and Mr A would often find himself in places where repair work was being carried out – with lagging being pulled off pipes and boilers and asbestos mixed to re-lag them. Clouds of asbestos dust were created to which Mr A was exposed. He was not provided with any masks, overalls or any other type of protection and wore his own clothes. He was never warned about the risks of exposure to asbestos. During the period of 1950 to 1957, Mr A was in the Royal Navy. He was based in the stores on various ships, where there were large amounts of asbestos lagged pipework. Also, his rest hammock in the mess was around three feet below asbestos lagged pipework, and as the ships vibrated, he would have been exposed to asbestos dust. After the navy, Mr A went back to work at Staveley Iron and Chemical Company until 1968. Up until 1966, he was an assistant chargehand in the gas engine house, where, again he was exposed to large amounts of asbestos from boilers and pipe lagging. Lagging that was old and crumbling had to be removed and the pipes and boilers re-insulated with new asbestos. The areas were cleaned using a brush and shovel which created further clouds of dust. Again, no masks were provided, and Mr A was given two pairs of overalls that had to be washed at home. No warnings were given about the risks of exposure to asbestos. Mr A retired in 1988 after undertaking further jobs where he was not exposed to asbestos. In 2015, he noticed that he had started to get out of breath and had an episode of severe breathlessness towards the end of the year. X-rays revealed massive pleural effusions and he was admitted to hospital where an MRI scan and biopsy confirmed he was suffering from mesothelioma. His quality of life plummeted. He was unable to do the things he had done in the past, such as DIY, gardening or washing the car, and his wife had to provide a lot of personal care. He had to use a walking stick and then a Zimmer frame to get about and was provided with several aids from his occupational therapists. Mr A was advised to contact a solicitor to discuss the possibility of claiming compensation. He contacted Graysons and Belinda took up his case. She contacted Tata Steel UK (the company that had taken over the Staveley Iron and Chemical Company). Unfortunately, Mr A died in April 2016 and so Belinda pursued the case on behalf of his widow. As Belinda prepared to issue court proceedings, Tata Steel’s insurers decided to negotiate an offer, which Belinda agreed to, and compensation of £123,000 was accepted. If you, or a member of your family, become ill as a result of exposure to asbestos please contact our experts who will arrange a free of charge meeting to discuss your case. We may also be able to pursue a case on behalf of the estate of someone who has died as a result of exposure to asbestos. You can also find out more on our website.